And even more on public dollars and museum support . . . This week’s post is another excellent essay written by Lacy Pline a graduate student in Art History at the University of Memphis. Lacy is also enrolled in the Museum Studies Graduate Certificate Program with a strong interest in public outreach and education in both art history and archaeology. Much like the prompt for this class, Dettloff raises a very valid point. How can you even begin to justify artistic programming when there are people in the local community who are going without the most basic necessities? How could I, as a public servant, argue that my research or involvement within a museum is worth their money, when they lack fresh water, electricity, or even a place to live? I thought for some time on this question, at first reading through the “Labor Day and the Cultural Heritage Professional” blog from Archaeology, Museums, and Outreach. I agree with the claims made that cultural heritage can be used as a source for empowering the people. On a larger scale, this can be seen from the example we watched in class. After a sacred hut burned down, the company who documented the site in 3D was able to make this information available to the community, who otherwise might have lost everything. On a smaller scale, the African American cultural heritage exhibit at the C.H. Nash Museum at Chucalissa offers a similar community component, bringing people together through a common heritage. I also agree that museums and public servants must be proactive with the communities, helping to empower people through culture at all times (not just when it’s someone’s project). Along the same page, there should be no disconnect between the public and the professional. As I continued to research this question however, I was a bit put-off by the response I seemed to most often receive. It was essentially that museums help to create vibrant, thriving communities. They connect community members to one another, they provide educational programming, and they offer events. While this is true, if I was Josephine Q. Public and had just lost as much as she had, I don’t know if hearing those reasons would feel enough for me. The hard truth is, it’s extremely difficult to justify the arts in the face of deprivation. The only answer I could come up with is that it is only justifiable when you make it directly benefit these same people. Benefits should reach beyond “providing culture” and other ethereal rewards, to actually making a difference in the lives of the community. So how would a museum do this? My first instinct was to see what I could provide through my museum that addresses their current problems. While this is somewhat altruistic, it is also a simple business practice – if you make your museum an integral part of the community, a staple, people will want to fund the museum in order to keep the doors open. If community members are suffering from lack of food or clean water, a museum could create a community garden or well. If there are issues of security within the community, the museum could help organize Neighborhood Watch groups, or create a safe haven (a “Third Space”), open to all. Beyond addressing the necessities, a museum should strive to give back to the people as much as possible. Children could be educated through special programming and summer camp options. The museum could organize a Senior Citizen Night, creating events just for the elderly. Art or photography classes could be taught in art museums on evenings for members of the community. The Cummer Museum in Jacksonville Florida has a night at the museum type of event, where each Tuesday for 3-4 hours, the museum is open to anyone for free. The C.H. Nash Museum at Chucalissa offers Volunteer Days, where volunteers can come to the museum and help assist or organize artifacts. 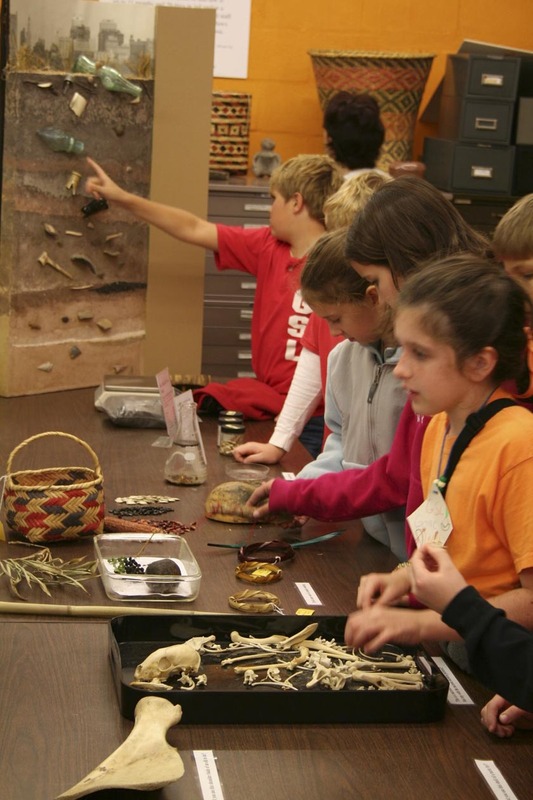 Museums could also strive to educate the community on their own unique personal heritage, creating oral or local history exhibits, or co-creating temporary exhibits with visitors, which is described in The Participatory Museum. In conclusion, the only way to truly be able to justify spending public money is to spend as much as an institution possibly can on giving back to that same community.